The www.grottechauvet2ardeche.com website was published by the Société d’Exploitation de la Réplique – Grotte Chauvet 2 Ardèche (referred to hereafter as SERCPA), a limited liability company with a registered capital of €250 000.. The www.grottechauvet2ardeche.com website is hosted by OVH SAS with a registered capital de €500 000. All personal information voluntarily provided by internet users to this site will remain confidential and will not be shared or forwarded to third-party agents. Pursuant to the Act No. 78-17 of 6 January 1978 regarding information technology, files and civil liberties, you have rights of opposition (art. 26 of the law), access (art.34 to 38 of the law) and rectification (art 36 of the law) of any data that might concern you. The www.grottechauvet2ardeche.com website uses Google Analytics, a service that analyses visitor traffic supplied by Google Inc. (“Google”). It does this by using cookies or text files stored on your computer so that Google can provide SERCPA with statistics concerning site traffic (number of visits, pages viewed, and duration of visits etc.). The information on your website usage will be transmitted and stored by Google on servers in the United States with the sole objective of interpreting and compiling activity reports about the website. Your IP address is included in the information recorded by Google, but it can only be shared or used in the case of legal obligation. Your IP address cannot be used for analysis in relation to any other information that Google may have concerning you. You may deactivate cookies in your browser settings but such deactivation may disable some of the site’s functions. All photos presented on this website are the exclusive property of the Grotte Chauvet 2 Ardèche, SYCPA and the Ministry of Culture and Communication. All non-commercial re-use is authorised provided that the source and photographer are acknowledged. For details please contact s.lefevre@grottechauvet2ardeche.com.  For all commercial and/or editorial re-use of Grotte Chauvet 2 Ardèche images please contact us. All elements featured on this website (texts, photos, videos etc.) are protected by copyright, and more widely by intellectual property rights. All use, modification, reproduction, representation and full or partial translation by any means without the express consent of SERCPA will be prosecuted.